Cities and companies can work with Miles to engage users of the app. SAN JOSE, Calif. — A Silicon Valley-based company called Miles launched a frequent flyer-type app that cities could use to reward users for walking, running, biking, using ride-hailing services and accessing public transportation, Green Biz reports. The points earned for using alternative forms of transportation can be redeemed for goods such as a cup of coffee from Starbucks or a gift card from Amazon. Cities and companies can work with Miles to engage users of the app. The first region that Miles is working with is the Contra Costa Transportation Authority in the San Francisco Bay Area. 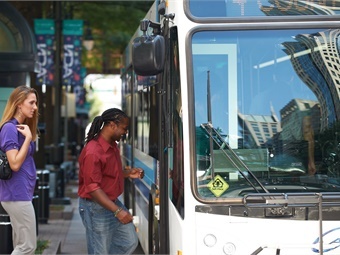 The agency and company hope that rewards, such as a free trip on public transit, can users the nudge they may need to take alternative and more sustainable modes of transportation as well as trips during off-peak hours, according to the report. For the full story, click here.